Last time we looked at one of the more magical selection tools available in Photoshop, and we will continue on our journey this week! When you need to change or move a select portion of your image, there are several tools to choose from, and each has their own unique strengths and weaknesses. For this tutorial, I’d like to explore the Lasso tools (there are three variations) and give some examples of when to use them and when not to use them. So saddle up and get your lassos ready! This triad of tools consists of a basic lasso, a polygonal lasso, and a magnetic lasso. Let’s give you a brief intro to what makes them different. 1. 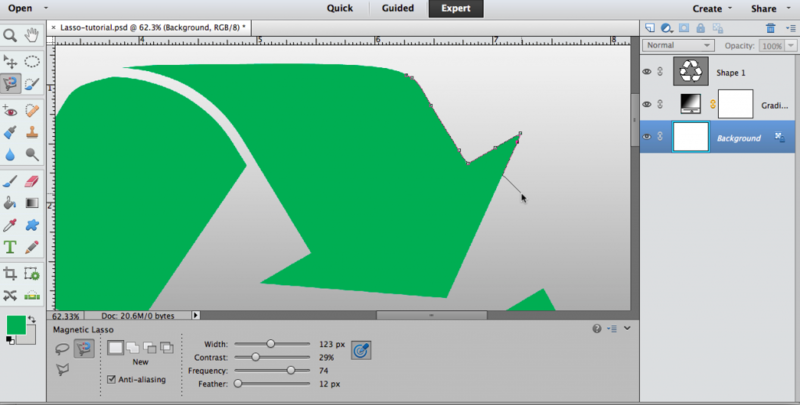 Basic lasso: selects an area simply based upon where you drag your mouse, kind of like using the pen tool. Except this tool will automatically “close” your selection to make a loop or “lasso”, typically with a straight line. 2. Polygonal lasso: selects an area comprised of combined segments of straight lines, based up where you drag your mouse and where you tell it to change direction (or make a “corner”). In case you’ve forgotten your primary school geometry, a polygon is a 2-dimensional shape with straight sides (e.g. triangle, hexagon). You have to manually close this loop by clicking on your starting point. 3. Magnetic lasso: selects on area based upon the closest edge to where you drag your mouse. The selection line automatically seeks out what it thinks is your desired object (like a magnet), and will “close the lasso” based upon the object’s edges. 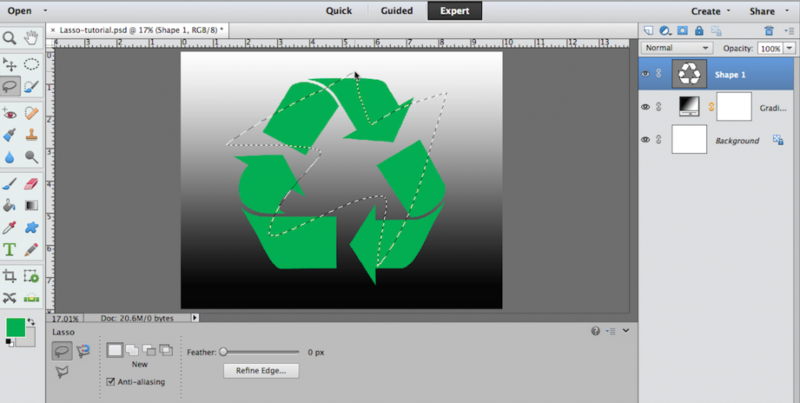 First up, let’s delve into the Basic Lasso tool. 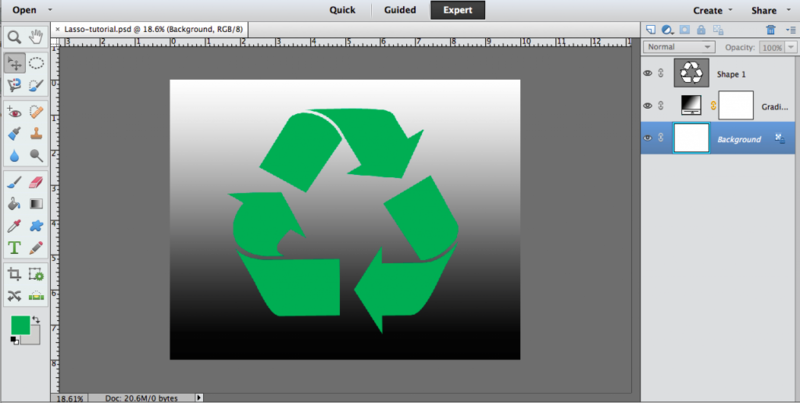 Here I’ve created a basic image with a black to white gradient and a green recycling symbol (because who doesn’t love recycling?). This is building off of the Magic Wand tutorial, to give you some continuity in learning. 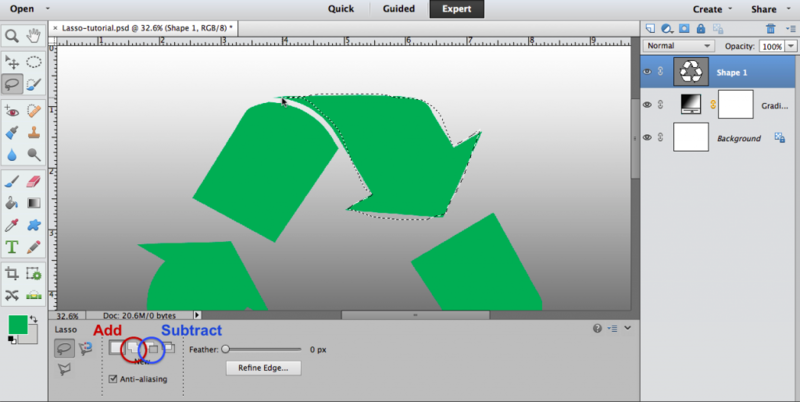 You can find the lasso tool icon in the bar on the left hand side of your work area. All three variations are imbedded there and you can toggle back and forth using the alt > right click command (Mac). It makes very lovely straight lines, but since my desired shape has some curve to it, this isn’t the best tool. If I didn’t want to start over and just wanted to fix it as is (for example, if you have an object that is 90% straight lines, but just has a bump somewhere), I would have to switch to the basic lasso and use the Add and Subtract functions to trim down or fill in my desired selection. But before I reveal the best tool (you probably already know what that is, don’t you smarty pants? ), let’s take a closer look at the Polygonal Lasso. I like to think of this particular lasso as a plumb line or a chalk line- you know, those handy things that let carpenters get perfectly straight cuts? All you have to do is click once to establish your starting point and drag the mouse until you need the line to change direction, then click again. 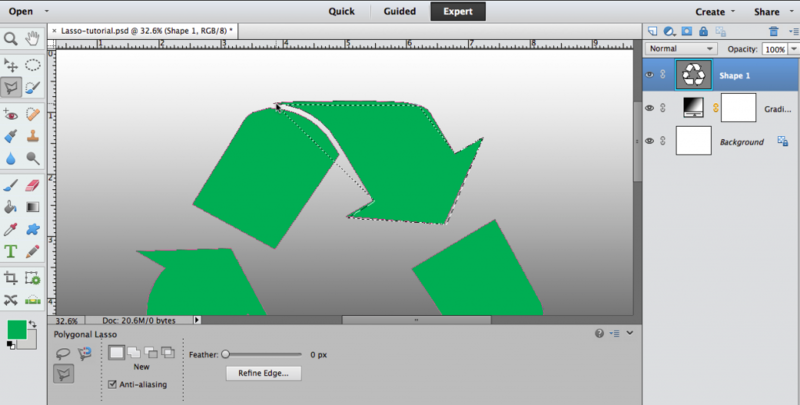 You can go on like this until you’ve created a perfect polygon. For this reason, this tool is great at selecting shapes and objects that have straight sides, like boxes, signs, and sides of buildings. 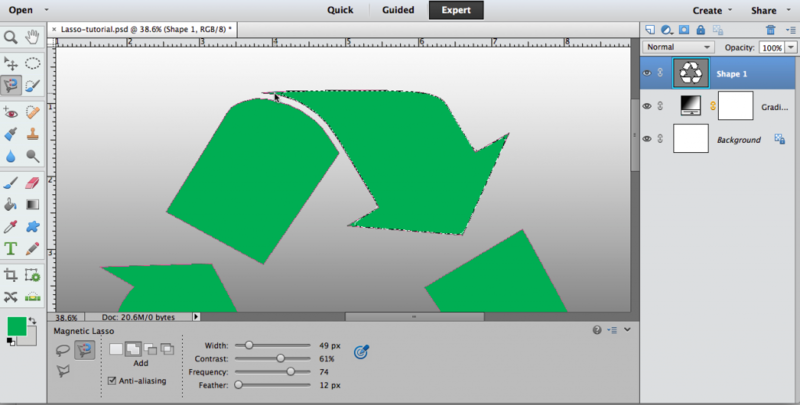 Or you can use it to cut out a polygon from a non-polygonal shape, like I’ve done here. Say you just wanted the triangle at the tip of the arrow; if you set your three corner points just right, it’s quite easy! Okay, so let’s get back to our original goal: to select the top arrow only. We’ve already decided that the basic lasso isn’t accurate enough and the polygonal lasso just won’t cut it. So, how about the magnetic lasso? While it’s not perfect, it’s much better! Even with little effort, it recognizes the edges and makes an educated guess about the shape you’re trying to select. So, let’s go over a few key things that makes the Magnetic Lasso special. You’ll notice four slider bars at the bottom- these settings control how the lasso selects and what your final selection looks like. 1. Width: This changes how big your cursor area is and how many pixels are included in the “search of an edge”. Wider = more area to be searched = better for well-defined edges = easier and quicker selection. More narrow = less area = better for tiny details or murky edges = slower but more accurate selection. 2. Contrast: This tells Photoshop how to find the edge based upon how much contrast in color or brightness there must be between what you want and don’t want included. 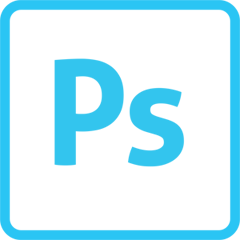 High contrast = easily seen edge = faster selection. Low contrast = edges that are harder to find = slower but more accurate selection. 3. Frequency: This lasso lays down “anchor points” along the selection line, and this tells it how often to lay down those points. Higher frequency = more anchoring = slower but more accurate selection. Lower frequency = fewer anchor points = faster but possibly less accurate. 4. 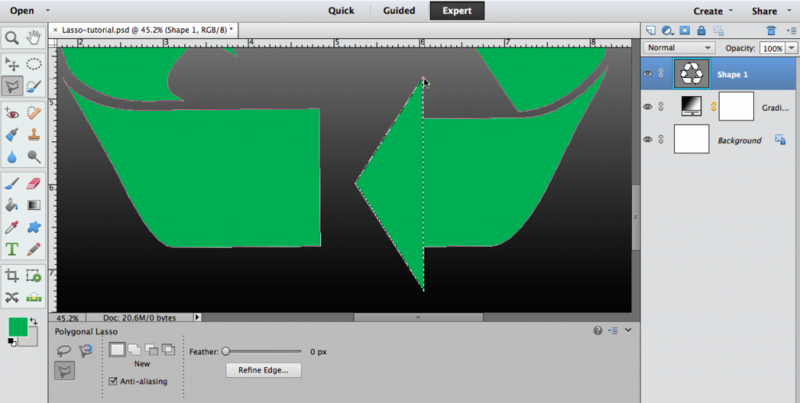 Feather: This controls how much your edge line is blurred or “feathered”. Higher feathering creates a soft, blended line and lower feathering creates a hard, sharp line. I like to use the Magnetic Lasso whenever I’m not very confident in tracing an edge by hand. It helps immensely by laying down those anchors and snapping the line down to whatever I’m trying to select: especially useful in complicated and detail-rich images! While this was only a brief intro, I hope it helped you feel more confident in opening up your lasso toolbox. Next time you need to make a selection, take the time to think first (is my object straight? Curved? Sharp? Blurry? A different color than everything else?) and it will help you to choose just the right tool for the job. Stay tuned for the next installment in our selection tool journey when we explore the Selection Brush!